This is Sanek's five-level episode with Zykov Eddy making an appearance in the first one. The first two maps of the episode were released a while back; check their reviews here and here. In this review I will mostly deal with levels 3-5. Not counting a somewhat inconsistent visit to a hi-tech location in the second level, The Chronic is a city episode. While it is not bad, two things stand out: laziness and rushing to finish things. 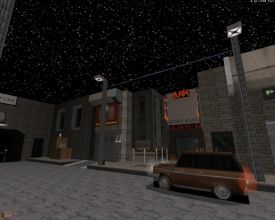 For example, the second level was left as it was in its standalone form even though there was plenty of feedback that should have been applied to fix a dozen things (including removing the second part of the map alltogether). 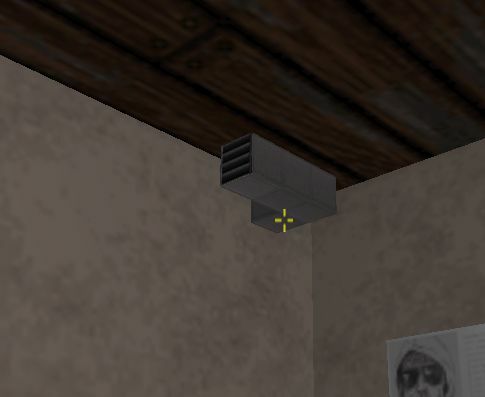 Another feature is heavily recycled spritework, mostly tables, chairs and this thing - some vent apparatus that makes a few appearances in every level. 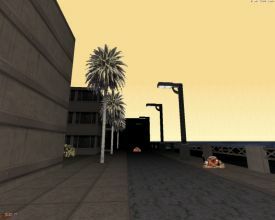 As for the levels, the third level, "Tunnel", is a very short map with one street area, some tunnels and two underwater sections. Three things which imply laziness stand out here: a viewscreen doesn't work, doors don't close automatically and diving can result in you getting squeezed. And why are there sharks in a very small and confined underwater tunnel that connects two urban tunnels? The fourth level is easily better and should have been merged with Tunnel. When you begin, there's a nice coastal view. After this, you walk through some warehouses and apartments. 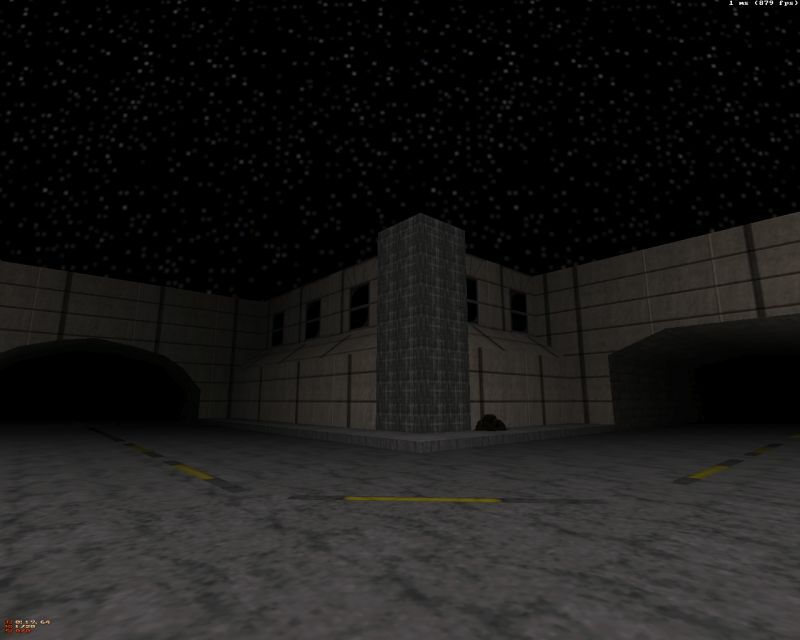 While this level is a clear step forward from Tunnel, it could have used a lot more work. For example, in the warehouse section there are some key locks for which you'll find keys from rooms which lie right next to the locks. In fact, once you're given a key before coming across the lock where it's needed. The second half of the level is not bad but resorts to recycling design (cramped apartments and spritework) from the second level. The last level is a short boss map. Here you'll recognize some elements from Blown Fuses but despite the too obvious influences the level looks quite good and there's a good music track playing in the background during the finale. This review may seem negative but the score should indicate that The Chronic is still a pretty good release, with a generally average design (not counting the excellent first level) and well balanced (but not remarkable) gameplay. But it seems that after the second level Sanek just wanted to get this thing out as soon as possible. 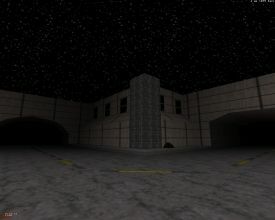 In some locations a pitch black texture has been used simply because Sanek, as admitted by himself, was too lazy to find a more fitting texture. This attitude shines throughout the episode.